Theatre Lounge « A.P. Webb Plant Hire Ltd. Occupying the entire second floor of our building here at Common Road we have 3 rooms available for hire. 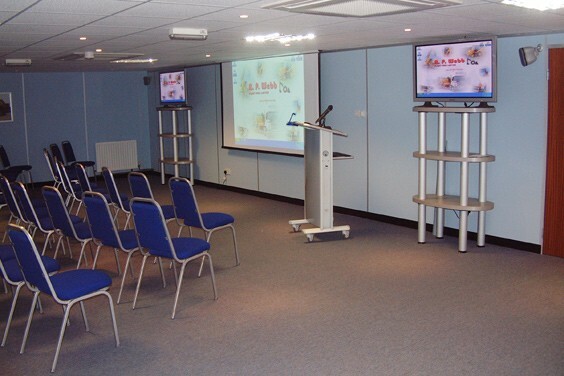 Our 70 seater Presentation Theatre has 2 Plasma Screens, a Projector, DVD, Video, PC and full 6.1 surround sound. 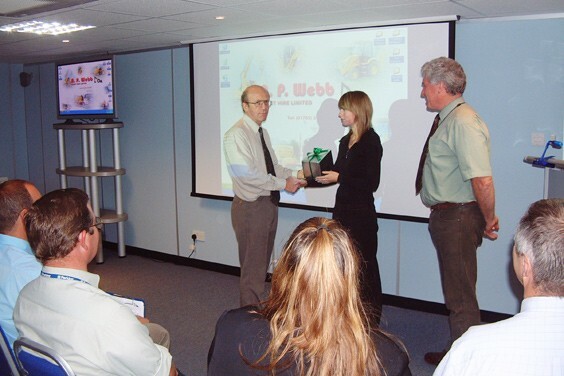 For the presenter, there is a lectern, wireless microphone, bluetooth keyboard, mouse and presenter for use with the PC and controls for adjusting volume levels and video sources. Adjacent to the Presentation Theatre is our Lounge area which is ideal for smaller informal meetings as well as a reception area for larger groups that have also booked the Presentation Theatre. 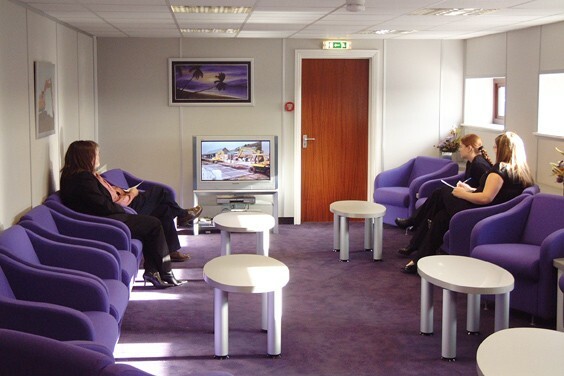 Within the lounge area is a large Television with Video and DVD facilities, seating for up to 15 people and our kitchen. 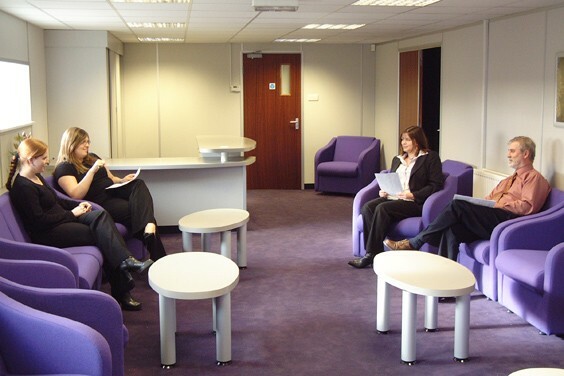 Perfect for meetings, our Exec Office can comfortably seat up to 25 people. 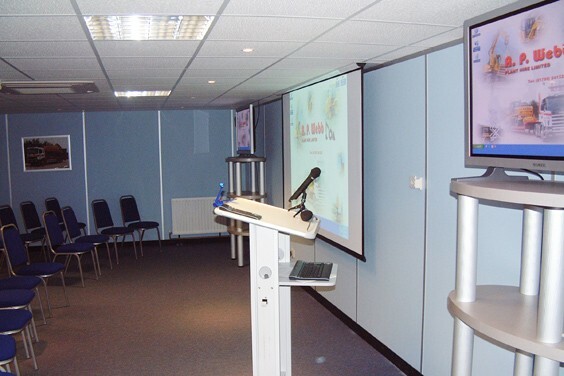 It can be equipped with any audio visual equipment you may wish as well as a projector, flip chart and white board.